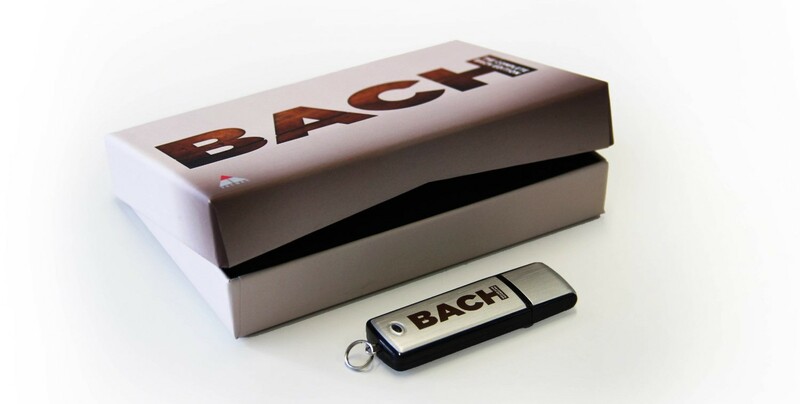 The Complete Bach Edition, comprising Bach’s complete works performed by world renowned Bach interpreters on period instruments, constitutes one of the most ambitious projects in recording history. Released as a staggering 153 CD set in 1999, Warner Music contacted me in 2012 me to examine the feasibility of producing a version that would fit on a single USB key. 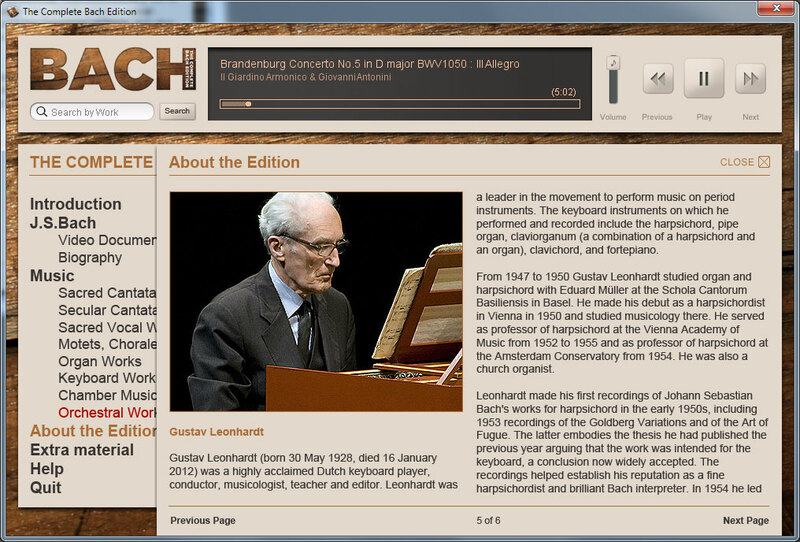 A mammoth project, the complete works comprises of over 3,200 tracks. 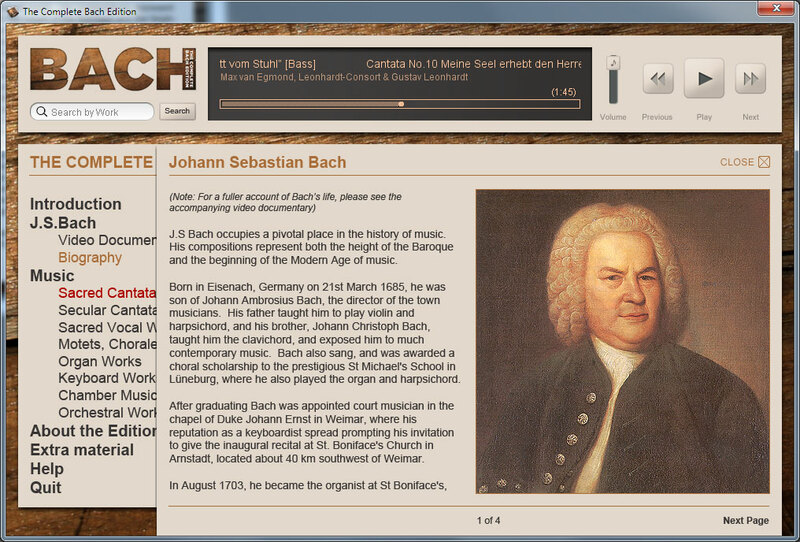 The product also had to be cross platform (for PC and Mac), provide an easily accessible menu for discovery of Bach’s music, as well as selective downloading, a search facility, biographies and a BBC documentary about Bach. 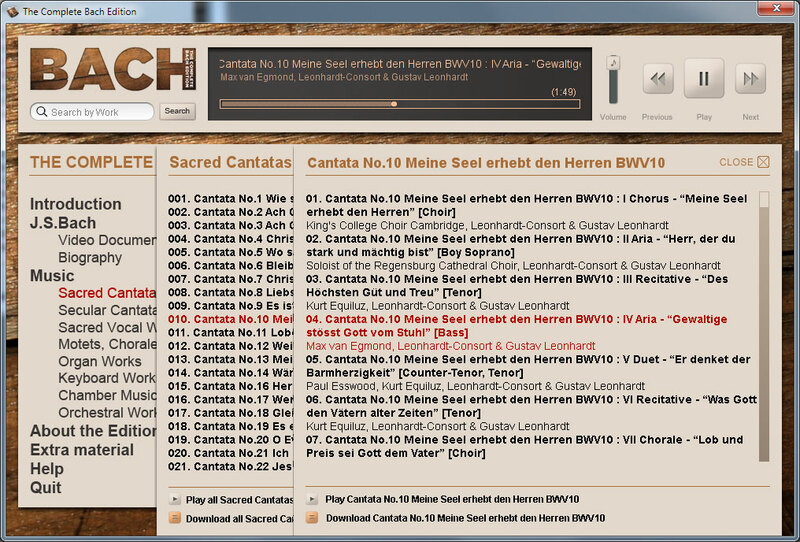 Selected works, genres or even the entire set can be copied to the user’s computer.